Elevated vacuum suspension has been commercially available in the U.S. since 1999 when Total Environmental Control (TEC) introduced the Vacuum Assisted Socket System (VASS). 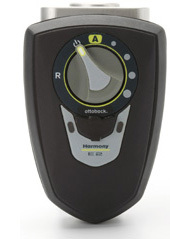 Today the VASS is manufactured by Ottobock and marketed as the Harmony® Volume Management System. The Harmony System is an active volume management suspension system for transtibial and transfemoral prostheses that optimizes the limb/socket environment. The Harmony System creates a subatmospheric environment by incorporating a Total Surface Weight Bearing (TSWB) socket, a liner, a vacuum pump that draws air out of the system, and a sealing sleeve that makes an air-tight seal with the user's liner and body. Studies carried out at St. Cloud State University in Minnesota have shown that the Harmony System prevents volume loss and minimizes volume fluctuations in the residual limb. The resulting adhesion between prosthesis and residual limb reduces tissue elongation and displacement. The step length and stance phase are measurably shorter than without the vacuum, allowing for a symmetrical gait pattern. The outstanding adhesion has also shown to prevent residual limb/socket pseudarthrosis and improve proprioception. Furthermore, a study has pointed out that a prosthetic fitting with this system promotes residual limb blood circulation. The adjustable shock absorber and a newly developed torsion adapter increase the walking comfort and relieve the strain on joints and spine. Conventional sockets are specific weight-bearing sockets that influence the fluid balance in the tissue of the residual limb. During the stance phase, these sockets carry or “press” tissue fluid out of the residual limb. The volume of the residual limb is further decreased by the basic biomechanical function of the gait cycle. A prosthetic gait cycle consists of 60% stance phase and 40% swing phase. This means that while walking, tissue fluid flows out longer and faster than it can flow back, given that the back flow is shorter and slower. Consequently more fluid flows out than flows back. Each residual limb is subject to volume fluctuations. The extent of the fluctuations depends on different factors such as the condition of the connective tissue, age of the patient, vascular diseases, and the design and fit of the socket. To compensate volume loss, amputees often wear an additional sock over their residual limb or liner in the afternoon. However, this measure only provides short-term relief from the symptoms and does not eliminate the cause. In the long term, the measure even causes partial pressure build-up, because the fluid in the residual limb tissue is not drawn out evenly. Simple one-way valves release only the amount of air that the residual limb volume can press out. Although the vacuum created in this way provides for sufficient adhesion, it cannot prevent volume fluctuations in the residual limb. Even shuttle-lock systems cannot prevent volume fluctuation. The adhesion is ensured as the prosthesis is secured by the pin. Nevertheless, both mechanisms entail volume loss that reduces the residual limb circumference. This leads to residual limb/socket pseudarthrosis and can thus result in painful skin irritations. Volume management through fluid balance is the right way to counteract these consequences. The Harmony System prevents volume fluctuation in the residual limb. Unlike conventional specific weight-bearing sockets, Harmony sockets are Total Surface Weight Bearing sockets. Pressure peaks in the load areas are prevented and replaced by full contact. The pump unit in the Harmony System creates vacuum in the socket. It draws the entire surface of the liner onto the socket, thereby relieving pressure from the residual limb. During the stance phase, the pressure increases evenly over the entire surface rather than partially. De facto, this effectively reduces the total pressure affecting the tissue. The residual limb tissue is thereby relieved, while the amount of fluid, i.e., the residual limb volume, is kept stable - in each phase of the gait. The Harmony® E2 is the new electronic pump option for the Harmony System, designed for intuitive and easy use by the amputee. 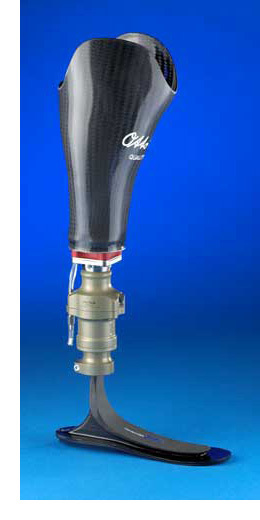 Due to its connection to the prosthesis by a special 4-hole adapter plate, it can easily be removed to charge it without removing the leg. The adapter plate with its integrated valve keeps the vacuum in the socket. In combination with the other Harmony System components (e.g., an Anatomic 3D PUR Liner, a ProFlex Sleeve and the custom-made Harmony compatible socket) the Harmony E2 provides volume management for the residual limb, enhanced suspension and reduced forces in the socket. The next-generation design of vacuum pump: the Harmony® P3, which provides maximum functionality for the patient and optimum efficiency for the prosthetist. The Harmony P3 is appropriate for amputees who are moderate to high activity level and want to ensure optimized fit with their prosthesis throughout the day. Because of the P3's new design, more amputees can take advantage of the device’s technology: the P3 is lighter and has a smaller overall height and width than its predecessors. Like previous generations of the mechanical Harmony devices, the P3 is waterproof to support patients in a number of environments. The Functional Ring of the P3 device provides vacuum generation, vertical shock absorption and torsion, all in one simple component. The ingenious 3-in-1 design of the Functional Ring allows for easy serviceability in the field, when necessary, by the practitioner. This feature saves time and the need to equip patients with loaner devices while their product is in for repair. An earlier study by Beil5 (2004) compared pin suspension to suction suspension (n=9) by measuring impulse and peak pressures in the socket during ambulation. Results: During stance phase there was no difference between the two suspension methods (p=0.076); however, during swing phase, differences were significant (positive pressure impulses p=0.008, average positive pressure p-0.004, distal negative impulse p=0.053 and peak pressure p=0.026) demonstrating that pin suspension exerts an occlusive pressure on the proximal tissues of the residual limb, while at the same time generating considerable suction at the distal end of the socket, and that these pressures are likely causing both the persistent and the day-to-day skin issues witnessed with pin suspension users. Board6 (2001) conducted a randomized trial comparing suction suspension to vacuum assisted suspension; evaluating changes in volume, tibia and liner pistoning, and stance phase and step length symmetry. Volume: Residual limb volume (n=10) was measured prior to and after a 30-minute treadmill walk, and a significant increase of 3.7% or 30 ml (p=0.007) was found when using vacuum as compared to a significant decrease of 6.5% or 52 ml when using suction. Pistoning: Pistoning of the tibia and liner (n=11) were measured using X-ray and extraction force and a significant decrease (p=0.000) in both tibia and liner pistoning was found in favor of the vacuum system. Symmetry: Gait symmetry (n=10) was assessed with video and found significant improvements in both stance-phase symmetry (p=0.037) and step-length symmetry (p=0.000). Conclusion: The authors concluded that while suction suspension fits well, it also causes volume loss due to the pressure that it exerts, which in turn worsens the fit, subjecting the skin to higher stresses and “shear forces” with potential for ulcers. Vacuum suspension, such as the Harmony®, retains correct fit, averts volume loss, and lessons pistoning in the socket; maintaining skin integrity, symmetry, and comfort. Beil7 (2002) also compared vacuum suspension to suction suspension (using total surface weight-bearing sockets) by measuring impulse and peak pressures during ambulation (n=9). Results: Findings were favorable for vacuum, both during stance phase (impulse p=0.00, peak p=0.003) and during swing phase (impulse p=0.000, average p=0.000, and peak 0.001). It is believed that lower pressures seen during stance when using the vacuum-assisted socket force lets fluid out and greater negative pressures seen during swing increases the amount of fluid drawn into the limb, thereby preventing volume loss. Sanders JE, Harrison DS, Myers TR, Allyn KJ. Effects of elevated vacuum on in-socket residual limb fluid volume: Case study results using bioimpedance analysis. JRRD. 2011;48(10):1231-1248. Ferraro C. Outcomes study of transtibial amputees using elevated vacuum suspension in comparison with pin suspension. Journal of Prosthetics and Orthotics. 2011;23(2):78-81. Powell LE, Myers AM. The activities-specific balance confidence (ABC) scale. J Gerontol Med Sci 1995;50A:M28-M34. Lajoie, Y. and Gallagher, S. P. (2004). Predicting falls within the elderly community: comparison of postural sway, reaction time, the Berg balance scale and the Activities-specific Balance Confidence (ABC) scale for comparing fallers and non-fallers. Archives of Gerontology and Geriatrics 38(1):11-26. Beil TL, Street GM. Comparison of interface pressures with pin and suction suspension systems. JRRD.2004;41(6A):821-828. Board WJ, Street GM, Caspers C. A comparison of trans-tibial amputee suction and vacuum socket conditions. Prosthet Orthot Int 2001; 25:202-209. Beil TL, Street GM, Covey SJ. Interface pressures during ambulation using suction and vacuum-assisted prosthetic sockets. J Rehabil Res Dev. 2002;39(6):693-700. As a result, it has been suggested that there are benefits to accelerating the initiation of rehabilitation after amputation surgery.10,11 One way that this may be achieved when there are wound-healing issues is by early fitting with a vacuum-assisted socket system (VASS), such as the Harmony® Vacuum System. A randomized controlled trial recently published by Traballesi, et al,7 evaluated fitting of the Harmony System on subjects with open ulcers/wounds (n=10) compared to fitting a standard suction socket (n=10) after wounds were healed to 1cm2 (control group). Subjects were limited community ambulators (MFCL- 2) or full community ambulators (MFCL-3), average age 61.3+/-13.2, with recent admission to the rehabilitation hospital after transtibial amputation due to dysvascular cause. A 12-week rehabilitation program was initiated for all subjects and additional follow-up conducted at weeks 28 and 36. First Steps: Harmony users took their first step at 16+/-8.6 days, while the control group took their first step at 58.6+/-24.7 days (p=0.012). Independent Walking: At week 12, all Harmony users were independent walkers, while only 5 in the control group were independent (p=0.001). Prosthetic Use: At 2 months, the Harmony group used their prostheses 62 hours/wk. (mean), while the control group used theirs 12 hours/wk. (p=0.003). At 6 months, prosthetic use was 80 hours/wk. for the Harmony group compared to 59 hours/wk. for the control group; however, results were no longer significant (p=0.191).Locomotor Capability Index (LCI): At week 12, the median LCI score for the Harmony group was 42 (maximum score possible) versus 21 for the control Group (p=0.002). Drop-outs: Three subjects dropped out of the control group (one each at 4 weeks, 6 weeks, and 16 weeks) and one dropped out of the Harmony group at 20 weeks. Wound Healing and Pain: Considering the difference in prosthetic use between the two groups, one would expect the Harmony users to experience increased pain and possibly less healing. However, wound healing and pain perception scores were not statistically significant between the groups. Conclusion: The authors concluded that early use of the Harmony in the presence of open ulcers/wounds did not impede healing, nor did it increase pain. An earlier study by Brunelli,12 conducted at the same rehabilitation facility, reported on 24 transtibial amputees; 7 subjects with ulcer/wound healing failure fit with the Harmony and 17 subjects with no ulcer/wound healing failure fitted with a standard PTB socket (PTB Group). Locomotor Capability Index (LCI): Subjects were measured using LCI to determine prosthetic use. At nine months, the Harmony group scored 36+/-6.7 on the LCI compared to the PTB group which scored 28+/-4.2. Pain Perception: Subjects were measured using the Visual Analog Scale (VAS) for pain perception. VAS scores were favorable for the Harmony group both at 1 month (6.3+/-2.2 compared to 7.5+/-2.5) and at 9 months (4.6+/-1.3 compared to 7+/-1.8). Conclusion: The authors concluded that patients fit with the Harmony were compliant in its use, and their ulcers/wounds improved during the study. Traballesi4 also reported on a 60-year-old, dysvascular, transtibial amputee with a 43.5cm2 category IV wound on his residual limb. Measurements included the LCI for prosthetic use, the Barthel Index (BI) for functional independence and digital photos of the wound for healing. The subject wore the Harmony 8 hours per day for 4 months and participated in outpatient gait therapy. Results: Despite having such a large open wound, when tested using the Harmony, the subject’s LCI score was 41 and BI was 85. Additionally, after 3-4 hours of continuous ambulation and standing activities, VAS (pain) score was 0. At the end of 4 months, the wound area was reduced to 28cm2, which equated to a 34% reduction in wound area. Amputee Coalition. Limb loss statistics. http://limblossawareness.org/about-llam/limb-lossstatistics/index.php. Ziegler-Graham K, MacKenzie EJ, Ephraim PL, et al. Estimating the prevalence of limb loss in the United States: 2005 to 2050. Arch Phys Med Rehabil. 2008;89(3):422-429. HCUP Nationwide Inpatient Sample (NIS). Healthcare Cost and Utilization Project (HCUP). Rockville, MD: AHRQ; 2009. Traballesi M, Averna T, Delussu AS, Brunelli S. Trans-tibial prosthesization in large area of residual limb wound: Is it possible? A case report. Disability and Rehabilitation: Assistive Technology. 2009;4(5):373-375. Van Velzen AD, Nederhand MJ, Emmelot CH, Ijzerman MJ. Early treatment of trans-tibial amputees: Retrospective analysis of early fitting and elastic bandaging. Prosthet Orthot Int 2005;29:3-12. Gauthier-Gagnon C, Grise MC, Potvin D. Predisposing factors related to prosthetic use by people with a transtibial and transfemoral amputation. JPO. 1998;10(4):99-109; Waters RL, Mulroy S. The energy expenditure of amputee gait. Gait and Posture. 1999:9(3):207-231; Bowker JH, Michael JW (ed): In: Atlas of limb prosthetics: Surgical, prosthetic and rehabilitation principles. St. Louis: Mosby Year Book, 1992;381-387. Trabalessi M, Delussu AS, Fusco A, et al. Residual limb wounds or ulcers heal in transtibial amputees using an active suction socket system. A randomized controlled study. Eur J Phys Rehabil Med 2012:48:1-2. Dudek NL, Marks MV, Marshll SC, Chardon JP. Dermatologic conditions associated with use of lower extremity prosthesis. Arch Phys Med Rehabil. 2005:86:659-663. Meulenbelt HE, Geertzen JH, Jonkman MF, Dijkstra PU. Determinants of skin problems of the stump in lower-limb amputees. Arch Phys Med Rehabil. 2009:90:74-81. Munin et al. Predictive factors for successful early prosthetic ambulation among lower-limb amputees. J Rehabil Res Dev. 2001:38;4. White SA, Thompson MM, Zickerman AM, et al. Lower limb amputation and grade of surgeon. Br J Surg 1997; 84(4): 509-11. 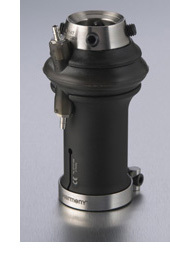 Brunelli S, Averna T, Delusso AS, Traballesi M. Vacuum assisted socket system in trans-tibial amputees: Clinical report. Orthopädie-Technik Quarterly, English edition. 2009; II:2-4. Abstract -- Since its inception in 1999 (Board et al., 2001), vacuum suspension has proven to be a major innovation. Vacuum suspension provides the amputee with unmatched linkage. This linkage alters the pressures that the limb experiences, which in turn prevents daily limb volume loss and improves limb health. The purpose of this paper is to review what is known about vacuum suspension and its effects on the limb. Goswami J1, Lynn R, Street G, Harlander M. Prosthet Orthot Int. 2003 (23):107-113. Abstract -- Gains in stump volume have been documented in transtibial amputees while walking in custom made undersized, total surface-bearing, vacuum-assisted sockets (Board et al., 2001). These gains raised doubts as to whether the sockets were truly undersized and concerns that using an oversized socket with vacuum-assist could lead to swelling, resulting, in discomfort or pain. The purposes of the present study were to determine if: (a) walking in a vacuum-assisted socket causes the stump to retain or gain volume in excess of the available socket volume and (b) the resulting increase in stump volume with an oversized socket causes discomfort, pain, and/or the skin to redden. The results of this study showed the stump retained or gained volume in excess of the available socket volume while walking in vacuum-assisted sockets of various sizes. The stump lost less volume than predicted, or gained volume, in undersized sockets. It also gained more volume than predicted in oversized sockets. No discomfort, pain, or skin reddening, resulting from the volume gain was reported by any of the subjects after walking in an oversized socket. This change in fluid balance towards a net gain supports the findings by Board et al. (2001) that vacuum-assist ensures a good fit during the day in ambulatory transtibial traumatic amputees with mature stumps. Abstract - Interface pressures were measured during ambulation with a normal total-surface weight-bearing suction socket and a vacuum-assisted socket. The vacuum-assisted socket has been shown to eliminate daily volume loss. Urethane liners were instrumented with five force-sensing resistors to measure positive pressures and one air pressure sensor at the distal end of the liner to document negative pressures. Nine unilateral transtibial amputees participated in the study. The vacuum-assisted socket created significantly lower positive-pressure impulse (42.8, 39.6 kPa•s) and peak pressures (83.5, 80.0 kPa) during the stance phase. The pressure impulse (-10.5, -13.3 kPa•s), average (-21.2, -26.5 kPa), and peak (-28.5, -36.3 kPa) negative pressures during swing phase were significantly greater in magnitude with the vacuum-assisted socket. We believe that lower positive pressures seen during stance using the vacuum-assisted socket reduces the fluid forced out and greater negative pressures seen during swing increases the amount of fluid drawn into the limb, thereby preventing volume loss. Abstract - Daily volume loss of the stump leads to a poor fit of the prosthetic socket. A method of preventing this volume loss and maintaining a good fit was developed. A vacuum (-78 kPa) was drawn on the expulsion port of a total surface-bearing suction socket to hold the liner tightly against the socket. Stump volume of 10 transtibial amputees was measured prior to and immediately after a 30-minute walk with normal and vacuum socket conditions. Under the normal condition, the limb lost an average of 6.5% of its volume during the walk. In contrast, with the liner held tightly by vacuum, the limb gained an average of 3.7% in volume. It is believed that the difference observed between conditions resulted from a greater negative pressure developed during the swing phase of gait with the vacuum condition. X-rays revealed that the limb and tibia pistoned 4mm and 7mm less, respectively, under the vacuum condition. The combination of reduced pistoning and maintenance of volume is thought to account for the more symmetrical gait observed with the vacuum. Abstract— A common mode of limb suspension for transtibial amputees is the pin liner/shuttle lock system. Despite its popularity, some clinicians question its use because of observed daily and chronic changes to the residual limb. For this study, we measured limb interface pressures during ambulation with pin and suction suspension systems. No pressure differences were seen between the modes of suspension during stance phase. However, during swing phase, pin suspension maintained an average occlusive compressive pressure of 6.7 kPa on the proximal tissues, as compared to the subocclusive pressure of 1.1 kPa with suction suspension. Simultaneously, pin suspension elevated the peak magnitude of suction to -39.5 kPa at the distal residual limb, compared to -26.1 kPa with suction suspension. During swing phase, the pin liner squeezes proximally while creating a large suction distally on the residual limb and is the likely cause of daily and chronic skin changes observed in pin users. Abstract - The objective of this study was to investigate the effect of brimless compared with ischial ramus containment (IRC) prosthetic sockets when using vacuum-assisted suspen­sion (VAS) on persons with a unilateral transfemoral amputa­tion (TFA). A randomized crossover design with a 2d accommodation was used. People with unilateral TFA (n = 9 analyzed) were enrolled. Interventions were IRC VAS and brimless VAS sockets. Main outcome measures included coro­nal hip angle and vertical and lateral socket movement as mea­sured by X-ray, skin pressure measured by Tekscan, and preference measured subjectively. The brimless design was sta­tistically equivalent to IRC in all measured coronal hip angles and vertical and lateral socket displacement. The peak/stance mean pressure in the medial proximal aspect of the socket was 322 mmHg in the IRC compared with 190 mmHg in the brim­less condition. Except for medial proximal pressure, no other measures reached statistical significance. All subjects reported the brimless design to be more comfortable than the IRC in short-term preference. Brimless VAS socket design may be a clinically viable choice for people with TFA. Abstract - Background: Persons with amputation and residual limb wounds would benefit from the ability to continue wearing a prosthesis while healing. Sockets with vacuum-assisted suspension may reduce intra-socket motion and be less disruptive to wound healing. 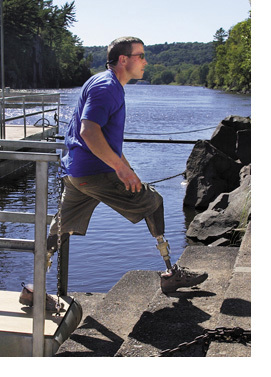 The purpose of this case series was to measure residual limb wound size over time in persons with transtibial amputation while using prostheses with vacuum-assisted suspension. Case description and methods: Six subjects with residual limb wounds were fit with vacuum-assisted suspension sockets. Wound surface area was calculated using ImageJ software at the time of fit and each subsequent visit until closure. Findings and outcome: Average wound surface area at initial measurement was 2.17 ± 0.65 cm(2). All subjects were instructed to continue their normal activity level while wounds healed, with a mean of 177.6 ± 113 days to wound closure. Conclusion: Results suggest that well-fitting sockets with vacuum-assisted suspension in compliant individuals did not preclude wound healing. Further research is required to substantiate these case-based observations. Clinical relevance: Residual limb wounds are typically treated by suspension of prosthetic use until healing occurs, increasing the risk of long-term prosthesis nonuse. Our results suggest that vacuum-assisted suspension sockets may be used while healing occurs. Residual Limb Wounds or Ulcers Heal in Transtibial Amputees Using an Active Suction Socket System. A Randomized Controlled Study. Traballesi M1, Delussu AS, Fusco A, Iosa M, Averna T, Pellegrini R, Brunelli S. Eur J Phys Rehabil Med. 2012 Dec;48(4):613-23. Epub 2012 May 28. Abstract - Background: The factors that determine successful rehabilitation after lower limb amputation have been widely investigated in the literature, but little attention has been paid to the type of prosthesis and clinical state of the residual limb, particularly the presence of open ulcers. Aim: The aim of this study was to investigate the effects of a vacuum-assisted socket system (VASS) in a sample of transtibial amputees with wounds or ulcers on the stump and to evaluate prosthesis use as a primary outcome. Secondary outcome measures were mobility with the prosthesis, pain associated with prosthesis use, and wound/ulcer healing. Study Design: Randomized controlled study. Setting: Inpatient. Population: Twenty dysvascular transtibial amputees suffering from ulcers due to prosthesis use or delayed wound healing post-amputation were enrolled. Methods: Participants were separated into two groups: the experimental group was trained to use a VASS prosthesis in the presence of open ulcers/wounds on the stump; and the control group was trained to use a standard suction socket system prosthesis following ulcers/wounds healing. Results: At the end of the 12-week rehabilitation program, all VASS users were able to walk independently with their prosthesis as reflected by a median Locomotor Capability Index (LCI) value of 42, whereas only five participants in the control group were able to walk independently with a median LCI value of 21. At the two-month follow-up, the participants used their VASS prostheses for 62 hours a week (median; range: 0-91), which was significantly longer than the control group using the standard prosthesis for 5 hours per week (range: 0-56, p=0.003). At the six-month follow-up, the difference between VASS-users (80, range: 0-112 hours a weeks) and control-users (59, range: 0-91) was no longer significant (p=0.191). Despite more intense use of the prosthesis, pain and wound healing did not significantly differ between the two groups. Conclusion: These results showed that the VASS prosthesis allowed early fitting with prompt ambulation recovery without inhibiting wound healing or increasing pain. Abstract - Although there are many forms of prosthetic suspension available currently, vacuum suspension systems may provide distinct benefits. The purpose of this study is to examine these unique benefits through an outcomes study. Possible benefits have been evaluated by administering surveys to participants and their prosthetists about daily activities, volume fluctuations, skin problems, and comfort. Activity Balance Confidence scores were found to be significantly higher in participants using vacuum suspension with 95% confidence, indicating a lower predicted incidence of future falls. Of a list of problems including skin breakdown and blistering, skin problems seem to be decreased in vacuum users and walking times increased in some users. Future research is recommended to provide a larger sample population. Dr. D.M. Durand is the E.L. Lindseth Professor of Biomedical Engineering Neurosciences, Physiology and Biophysics and Director of the Neural Engineering Center at Case Western Reserve University in Cleveland, Ohio. He received an engineering degree from Ecole Nationale Superieure d'Electronique, Hydrolique, Informatique et Automatique de Toulouse, France in 1973. In 1974, he received a M.S. degree in Biomedical Engineering from Case Reserve University in Cleveland, worked several years at the Addiction Research Foundation of Toronto, Canada, and in 1982 received a Ph.D. in Electrical Engineering from the University of Toronto in the Institute of Biomedical Engineering. He received an NSF Young Investigator Presidential Award as well as the Diekhoff and Wittke awards for graduate and undergraduate teaching and the Mortar Board “top-prof” awards at Case Western Reserve University. He is an IEEE Fellow and also Fellow of the American Institute for Medical and Biomedical Engineering and Fellow of the Institute of Physics. He serves on five editorial boards of peer-reviewed scientific journals and he is the editor-in-chief and founding editor of the Journal of Neural Engineering. Dr. Durand’s research is in the area of Neural Engineering. Neural Engineering is a new discipline at the interface between engineering and neuroscience. Research topics combines computational neuroscience, engineering and electrophysiology to solve problems in the central and peripheral nervous systems. In the peripheral nervous system, the focus is on neural interfacing with the peripheral nervous system and the development of neural prostheses. The goal is to restore function in patients with stroke or spinal cord injury and to provide voluntary control of artificial limbs to patients with amputation. Novel nerve electrodes are being developed capable of stimulating and recording neuronal activity selectively. Flat interface nerve electrode (FINE) to control the motion of ankle/subtalar joint by modulating the pulse amplitude of each contact of a FINE placed on the sciatic nerve. It is possible to take advantage of multiple contact nerve electrodes with spatial selectivity for the control of limb motion. Extracting physiological signals ... such as isolating control signals from peripheral nerve cuff recordings to control external devices such as prosthetics. Selective recovery of fascicular activity in peripheral nerves to provide command signals for advanced prosthetic limbs. Peripheral nerve signal recording and processing for artificial limb control. Controlling neuromuscular skeletal dynamics to develop new methods to recover fascicular signals within the nerve…with the goal to develop the ability to detect nerve signals and use these signals to control joint motion. Using beam forming techniques to detect the location and the activity in various fascicles for localization and control of activity in peripheral nerves. Motion control of the ankle joint with a multiple contact nerve cuff electrode: a simulation study. Bayesian spatial filters for source signal extraction: a study in the peripheral nerve. Extraction of control signals from a mixture of source activity in the peripheral nerve. Selective recovery of fascicular activity in peripheral nerves. Hierarchical beamformer and cross-talk reduction in electroneurography. Models of the peripheral nerves for detection and control of neural activity. Localization and recovery of peripheral neural sources with beamforming algorithms. Localization and control of activity in peripheral nerves. Require the Secretary to include vacuum erection systems in the DME competitive bidding program by 2016. Registration is now open for the 2015 World Confederation for Physical Therapy (WCPT) Congress in Singapore, May 1-4. Attendees who register before the October 2 deadline can save up to 20%. Please feel free to submit your questions on Ottobock's Harmony® Volume Management System as well as any other issue you would like addressed.